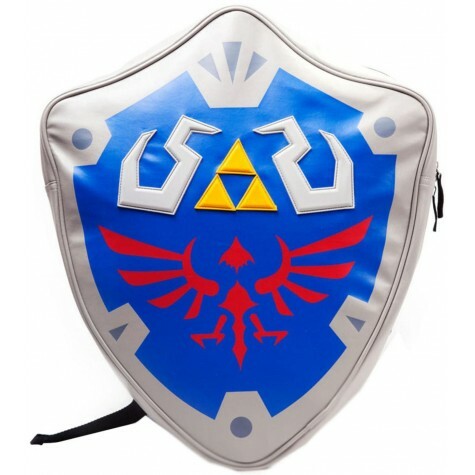 Nintendo Legend Of Zelda Link's Hylian Shield Backpack School Bag Silver-Blue. Adjustable Shoulder Straps,Internal Storage Compartments,Large Main Compartment. Premium Quality, Material: 70% polyurethane (PU) - 30% polyester.